The 2015 season is finally here. Barring some sort of bizarre injury, here is your 2015 Mets Opening Day roster. This is the order the Mets will go the first couple times through the rotation. The team will start arguably their worst starter on Opening Day in Colon. There are probably many reasons for this but the most public one at the moment is that way Harvey doesn’t start the home opener and will start the second Citi Field game which the Mets believe will maximize ticket sales. This is a clueless, idiotic way to run a franchise IF true, but hey its Opening Day so we won’t harp on the negatives today. 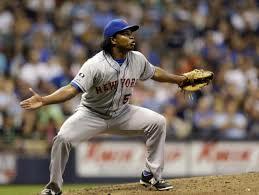 Jenrry Mejia had a rough spring but will it carry over into the season? Sean Gilmartin pitched well as Spring Training came to a close and will not be offered back to the Twins just yet, If he can make it all season on the Mets roster or DL he will become Mets property. The Mets didn’t want to lose Buddy Carlyle either who had an opt-out date coming up so the club elected to keep him and go with 8 relievers, Bobby Parnell and Vic Black will start the year on the DL but both should be ready to contribute at some point in the first half with Black likely ready soon. After much debate Daniel Murphy will in fact be ready for Opening Day and will meet his teammates in Washington for Monday’s opener. Terry Collins is planning on moving Murphy down in the order to get him more RBI opportunities but he is probably better off in his usual #2 spot in my opinion. With the Mets carrying 8 relievers, they will go with a 4-man bench to start the season. Eric Campbell would have been the 5th man on the bench but was optioned to Vegas instead. Campbell even worked on catching this spring to make himself even more versatile. A four man bench isn’t the Mets brightest idea but it likely won’t stay like this for more than a few weeks. Collins would use Jacob deGrom as a pinch hitter should he use the rest of his bench first. Should be a fun season and Lets Go Mets! With Spring Training officially underway lets take a look at who is expected to make the Mets Opening Day Roster. With grapefruit league games not even starting yet, this group will change slightly. Injuries could also change who makes the cut to join the Mets against the defending N.L. East champs, the Washington Nationals on April 6th. The Mets infield appears set. Three of the four players have played key roles in previous seasons while Wilmer Flores looks to break out as the teams starting shortstop. This may not be the best defensive infield the Mets have ever had by any stretch of the imagination but they should be able to drive in some runs. The Mets only made two major league signings this winter and they both happen to be outfielders. The Mets outfield was horrendous in 2014 and must improve, especially offensively if the club wants to be contenders. The strength of this 2015 Mets club will be their starting staff. With a key member back from injury and plenty of starting pitching depth in the minors, expect this to be one of the better rotations in the National League. This is where things get a little cloudy. 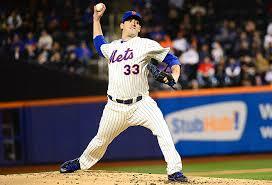 The Mets bullpen is very much undecided thanks to Dillon Gee being the odd man out of the rotation. Gee is not pleased with going to the bullpen and has stated he would prefer to start somewhere. While we aren’t going to rule out a trade it is very unlikely at this point as most teams have their budgets set going into the season and don’t want to spend an additional $5 million on a back end starter like Gee in Spring Training. While the Mets would love to see a second left-hander emerge into the bullpen out of camp, expect six right-handers to be in the Mets bullpen in Washington for Opening Day. The Mets will give Rafael Montero a shot to be a reliever in camp and that may be his only shot to pitch in the big leagues for the foreseeable future. Expect Bobby Parnell to help this group out in a couple months as he recovers from Tommy John surgery. The Mets have had very weak benches over the past few seasons and expect 2015 to be no different. The team did a nice job in bringing in Jon Mayberry Jr. and as long as Terry Collins only plays him against lefties he should perform well. 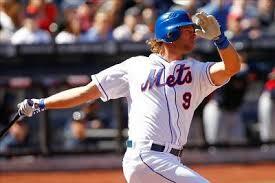 Expect Kirk Nieuwenhuis to make the club over a player like Matt Den Dekker as he is out of options. If Kirk does not make the club the Mets will most likely lose him to another team. 22. OF John Mayberry Jr.
Do you think we got the list right? Both Curtis Granderson and Juan Lagares ended up leaving Monday night’s win vs. the Arizona Diamondbacks with injuries. Juan Lagares pulled his right hamstring running out a ground ball. Lagares has never had a hamstring injury before so he has no idea how severe it is. The team will wait until Tuesday afternoon to make a disabled list decision on Lagares. It would really be a shame if the Mets lost Lagares for any extended period of time. He leads the team with a .314 average going into Tuesday’s contest and has played a phenomenal center field. 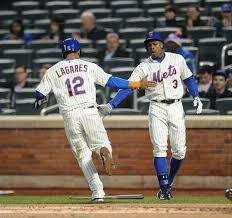 Perhaps most importantly for Lagares was that he was starting to establish himself as an everyday player. Lagares will likely be placed on the disabled list. 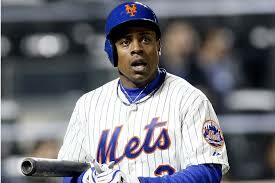 Granderson crashed into the right field wall at Chase Field in Arizona Monday and looked to be in serious pain. X-rays on the Mets $60 million man were negative, although multiple beat reporters said on Twitter that Granderson appeared in lots of pain after the game, struggling to dress and walk. 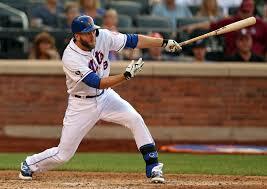 Kirk Nieuwenhuis would likely be the first guy called up in the event that either guy is put on the disabled list. Nieuwenhuis had a decent spring and the Mets know he can play all three outfield positions. Chris Young is 7-7 at Triple-A Las Vegas in his rehab assignment but isn’t eligible to come off the disabled list until Friday the 18th. The wild card here would be Bobby Abreu. If the Mets need to put both Granderson and Lagares on the disabled list than perhaps they call up both Nieuwenhuis and Abreu. It is unclear if Abreu can actually still play the outfield at this stage of his career. Abreu hasn’t played in the big leagues since 2012. Abreu can opt-out of his contract with the Mets if he isn’t put on the major league roster by April 30th. Despite being just 26 years old, Kirk Nieuwenhuis has become the forgotten man with the Mets. The man Mets fans call “Captain Kirk” got off to a great start to his big league career with the Mets in 2012 but pitchers soon figured him out. He can’t handle the high fastball or the breaking ball in the dirt. He has not learned to lay off those pitches and it has caused him to badly struggle in 2013. In 108 plate appearances in the big leagues last year Nieuwenhuis hit just .189 with three homers. Obviously Nieuwenhuis is not going to do any damage on pitches near his eyes or by his feet so he must learn to lay off those pitches or he will be out of major league baseball before long. 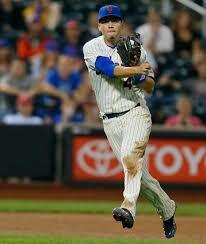 At this time last year the Mets plan was for Kirk to be the Mets righty piece of a centerfield platoon. Now he is in danger of losing his spot on the Mets 40-man roster. Nieuwenhuis is a great athlete. He can run, he is a terrific fielder, he has power but if he doesn’t hit for better contact he will become a journeymen, bouncing from team to team. 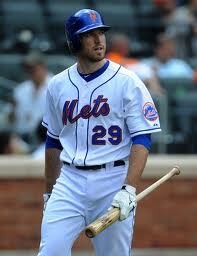 Nieuwenhuis hit just .248 in the hitter friendly Pacific Coast League in 2013. Nieuwenhuis has gotten off to a solid start this spring, hitting .400 but there has been virtually no talk about the lefty making the team as an extra outfielder so far. 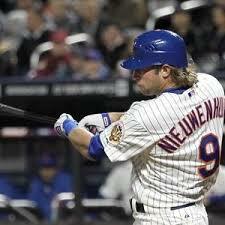 Will Nieuwenhuis make it as a major leaguer in 2014? After Saturday’s 20 inning loss, the Mets made a roster move. The team announced that they called up the red hot Kirk Nieuwenhuis from Triple A Las Vegas and designated Rick Ankiel for assignment. 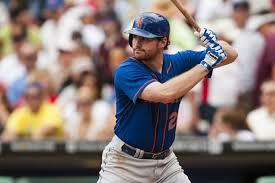 Nieuwenhuis hit eight homers in his final 16 games with the 51s before getting word of his call-up Saturday. 51’s manager Wally Backman told Terry Collins a few days ago that Kirk’s triple A homers were legit and not aided by the hitter friendly pacific coast league. 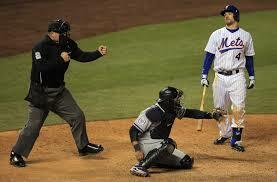 The Mets sent Kirk down because he just was not making enough contact at the big league level. He did a much better job of that when he went down and hopefully he can make more of an impact. Kirk needs to use these next few months with the Mets to show the front office that he can be more than just a 5th outfielder/defensive replacement. As for Rick Ankiel, it was a nice try hoping he could hit a few homers but there was a reason he was released by the Astros, the worst team in the American league. Ankiel hit .182 with 25 strikeouts in 66 at-bats. It’s time to see what some of these younger guys like Nieuwenhuis can do. Ike Davis continues to struggle after going 0-4 with 2 K’s out of the cleanup spot in Sunday’s 3-2 loss to the Pirates. Davis, 26, is hitting .180 with 4 homers in 111 at bats. There has been a lot of speculation that Ike can be sent to Triple A Las Vegas soon if he doesn’t get it going. I think that would be a major mistake. The Mets must ride it out with Ike Davis. I’m a fan of what hitting coach Dave Hudgens has done in getting Met hitters to take more pitches in an effort to get to the opposing teams bullpen. That being said it’s not working for Ike as it seems like he’s behind a strike before he even takes a swing. He’s clearly struggling under Dave Hudgens hitting philosophy of taking so many pitches and questioned the philosophy to the media after yesterdays loss. When Ike gets down 0-2 he’s practically already out based on some very depressing heat maps. Mechanically it seems like Ike changes his batting stance at least once a week and he has to move closer to the plate. If I was a pitcher facing him I just throw him off speed junk on the outer half of the plate until he adjusts. I think he’ll get it going eventually. Ike with 2 strikes is batting 5- 57 with 39 strikeouts. If they sent him down and moved Duda to first, who plays outfield then? You want to give guys like Kirk Nieuwenhuis and Juan Lagares more at bats? I believe he is still their best option. Just ride it out with him and hope for the best. I think the best thing Ike has going for him now is that he went through this last year and pulled through to have a decent season. I think we could see it again but he has been by far the most disappointing Met through the first quarter of the season. A big factor in the Mets 10-12 start, has been the play of the guy batting first in the order. In 22 games this season the Mets in the leadoff spot in the batting order are hitting just .217 with a .287 on-base percentage with 23 strikeouts in 102 plate appearances. The Mets have used six leadoff guys in 22 games. Guys like Collin Cowgill, Kirk Nieuwenhuis and Mike Baxter were expected to play a lot as leadoff hitters this season, but the trio have struggled badly offensively early on. The Mets best option may be Jordany Valdespin who has been hot to start the season. The Mets have little team speed and have lacked a true leadoff hitter since Jose Reyes departed in free agency. Reyes signed a six-year deal in Miami worth north of $100 million. This will be a problem all year as the Mets don’t have a leadoff hitter anywhere on their 40-man roster. That’s why bringing in center fielder Michael Bourn would have been a good idea. Bourn signed a four-year deal with the Indians instead.